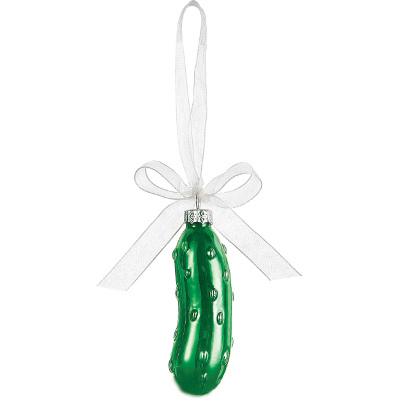 The Christmas Pickle Ornament 3″ high in a printed gift box. 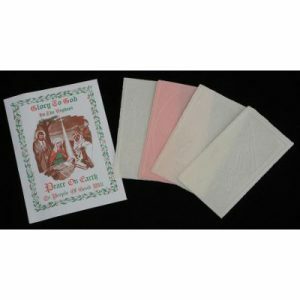 The front of the gift box has special prayer that reads: “To start a tradition that will surely last. Here's a short story about the pickle of glass. The night before Christmas it's hung on the tree. While everyone's sleeping it's done secretly. And on Christmas morning when you arise, the first one to find it will get a uprise. A family tradition for all to share. You'll look for the pickle year after year.